Are you a backyard chef or a cook who joins competitions? Butcher BBQ Inc. in Chandler, OK offers a variety of award-winning barbecue products. New Item! 3 of the Best Flavors Ever! Years of BBQ competitions have lead to the creation of this amazing sauce. Great on burnt ends, ribs, and chicken. The only limitations are based on what you don’t put it on. Butcher BBQ Inc. was established in 2007 with the goal of providing barbecue products to cooks around the world. We started out as butchers and eventually became pit masters after learning the best practices of the meat industry. For more than 34 years, we ran meat markets and sausage counters, sold items wholesale, and managed a custom meat processing plant. 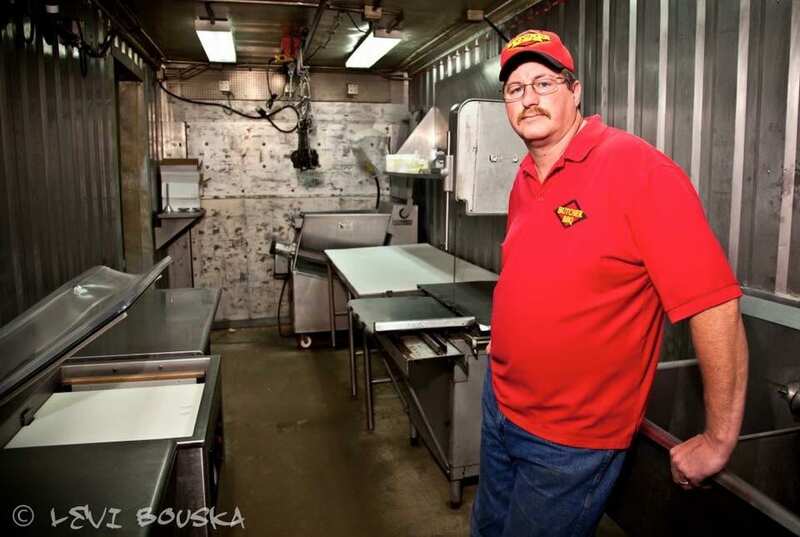 After that, our owner, David Bouska, started cooking in local barbecue competitions. In his first contest, he used an injection that he developed for our meat shop. Over the next few years, David tweaked the ingredients to make the injection more user-friendly for the barbecue competition community. From there, he packaged our original beef injection, which was followed by a pork injection after many requests from customers. David has used our premium rub since his very first competition while adding our honey rub to his arsenal. With his lifelong experience, David decided to bring science to barbecuing. After more than three decades in the meat business, we are now full-time barbecuers. Our company has won hundreds of competitions, including World Champion BBQ Pitmaster in 2012. We have also appeared in seasons four and five of the hit reality TV shows, BBQ Pitmasters and BBQ Pitmasters All-Stars. These accolades are the result of our winning injections, rubs, and sauces. With David’s techniques and experience, you too can barbecue like a champion. We only use the best possible ingredients to make our products. With the safety of your family in mind, everything we sell is produced in USDA-inspected plants. Our injections have been researched, developed, tested, and introduced to the retail market. No other company can match our knowledge and experience when it comes to barbecuing meat. We have spent decades studying the makeup, cut, and philosophy of meat. Our experience has given us the ability to help cooks better understand the art of barbecuing.